Want to know the quickest way to make pancakes that will feed the whole family? 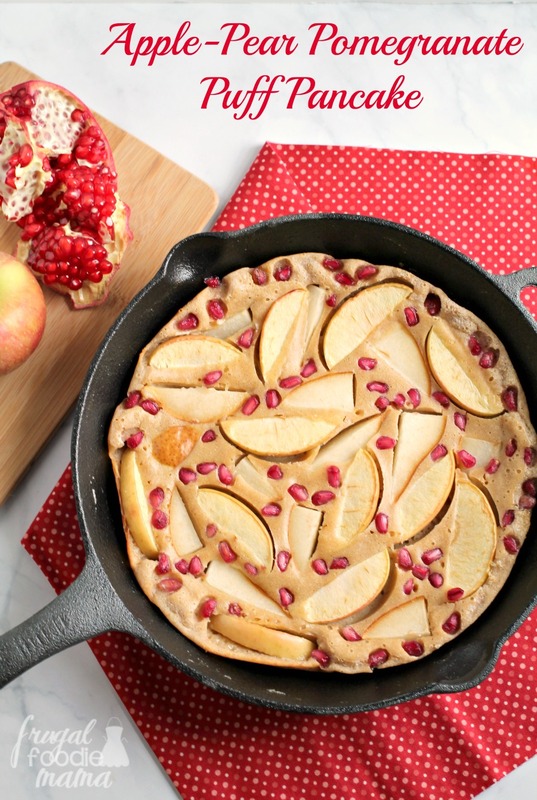 Bake up a delicious puff pancake in your trusty cast iron skillet! :) While I love making stacks of homemade pancakes for my family, let me be honest for a second- it gets a little time consuming standing there flipping pancakes. 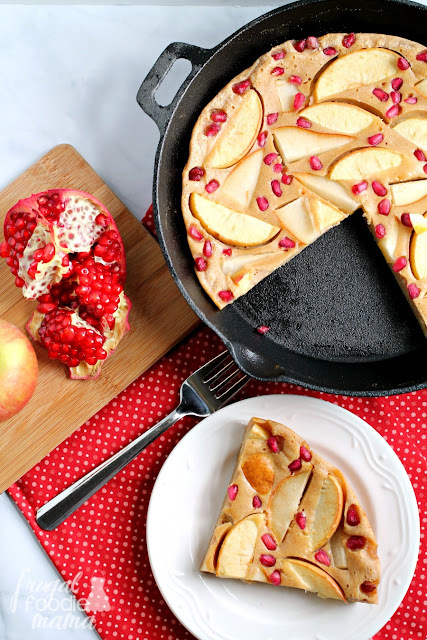 This Apple-Pear Pomegranate Puff Pancake is my lazy Christmas morning solution for you all. 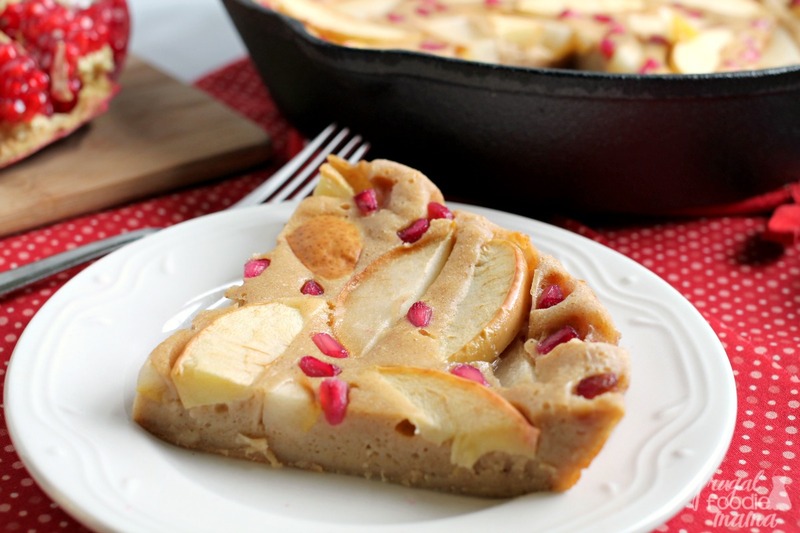 You just bake up one giant pancake, cut it into slices, and voila! Christmas morning breakfast is ready, and everyone gets to eat at the same time. I must admit that this was my first time making a puff pancake, and now I want to kick myself for waiting so darn long to give it a go. 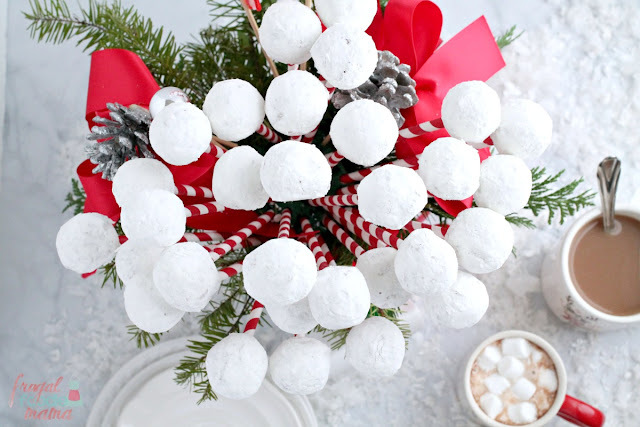 In a large mixing bowl, combine the eggs, buttermilk, vanilla, flour, brown sugar, cinnamon, and salt. Beat on medium speed until mixed. Heat a 12-inch cast iron skillet over medium-high heat. Add in the butter and melt it. Remove from heat. 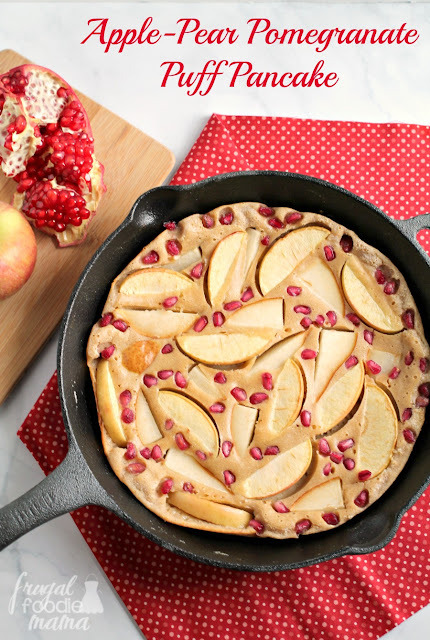 Pour the prepared batter into the skillet and then arrange the apple & pear slices and pomegranate seeds over top of the batter. Put the pan in the oven, and bake until the pancake is puffed and golden brown, about 20-25 minutes. Let cool to warm, then slice and serve. 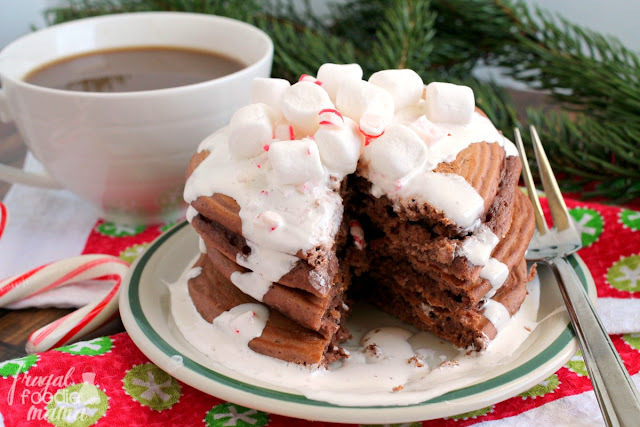 Top with powdered sugar, syrup, or fresh whipped cream, if desired. 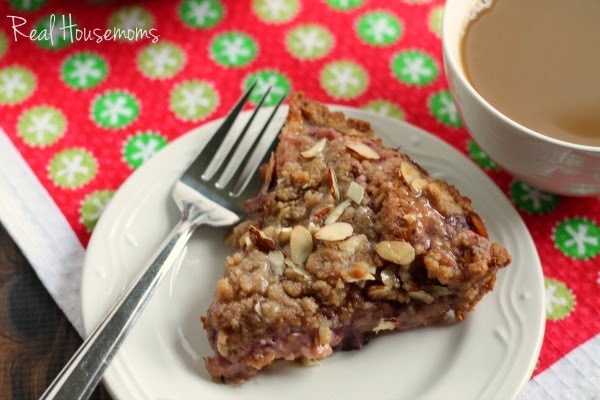 Adapted from this recipe for Double Berry Puff Pancake from RecipeGirl. 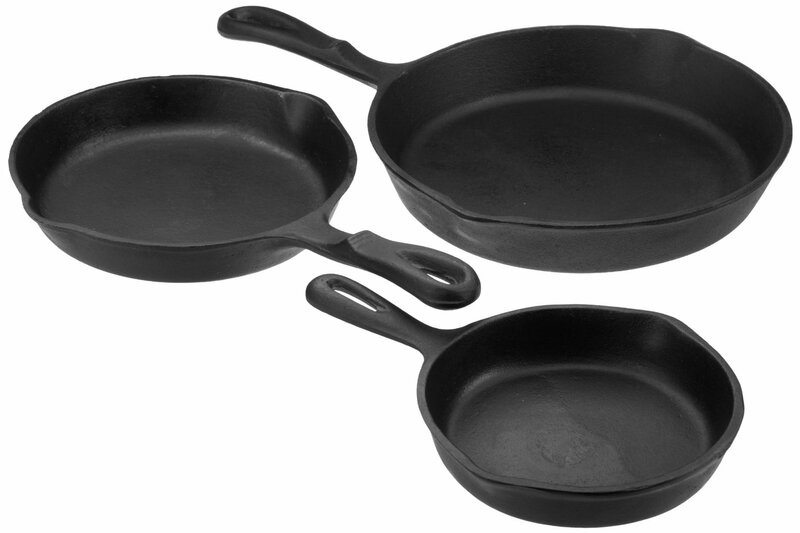 CLICK HERE to purchase this 3 skillet set from Blue Mountain on Amazon. 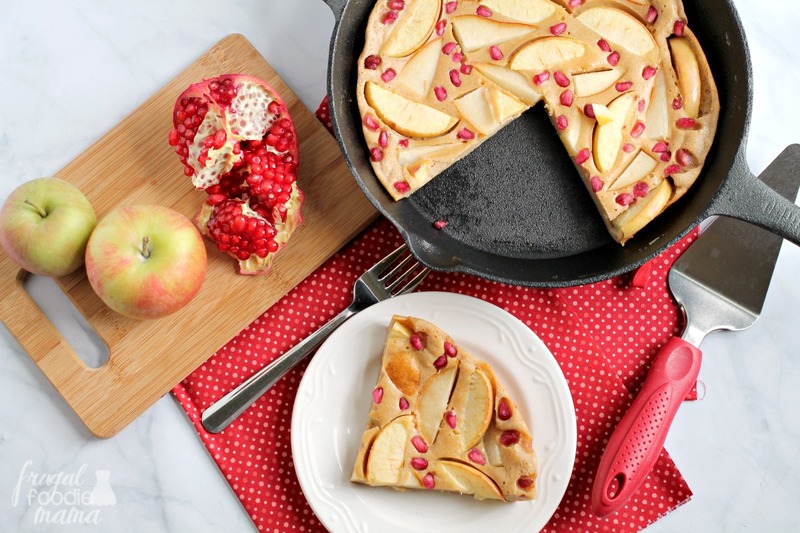 CLICK HERE to view all cast iron skillet sets on Amazon.